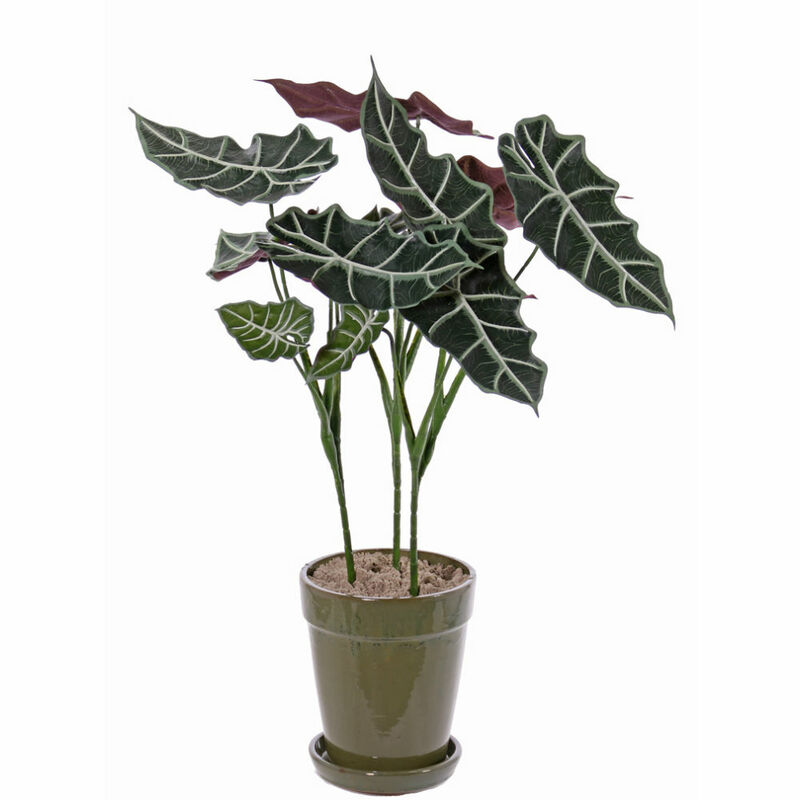 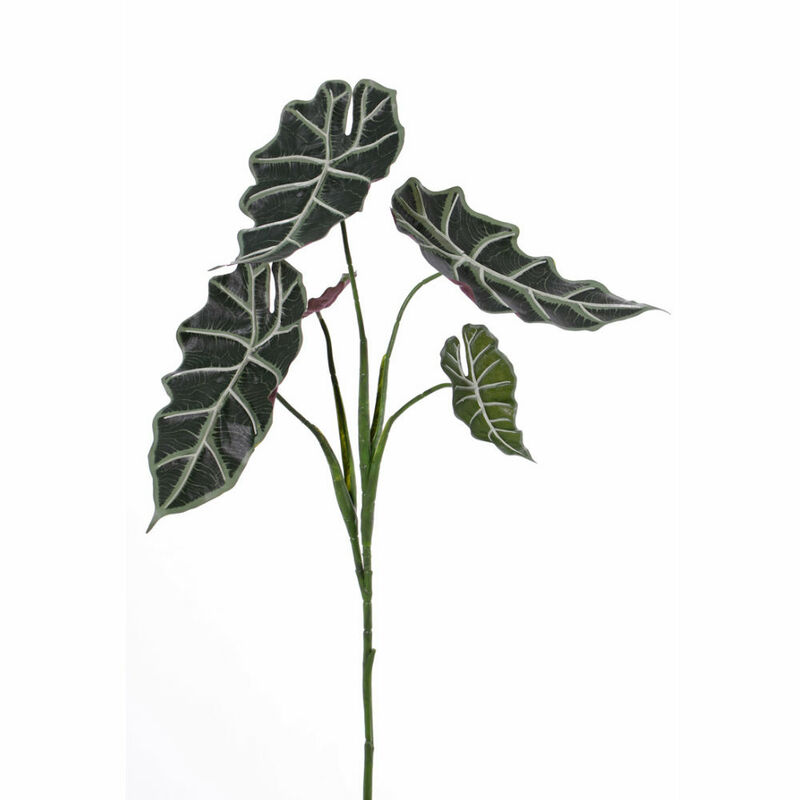 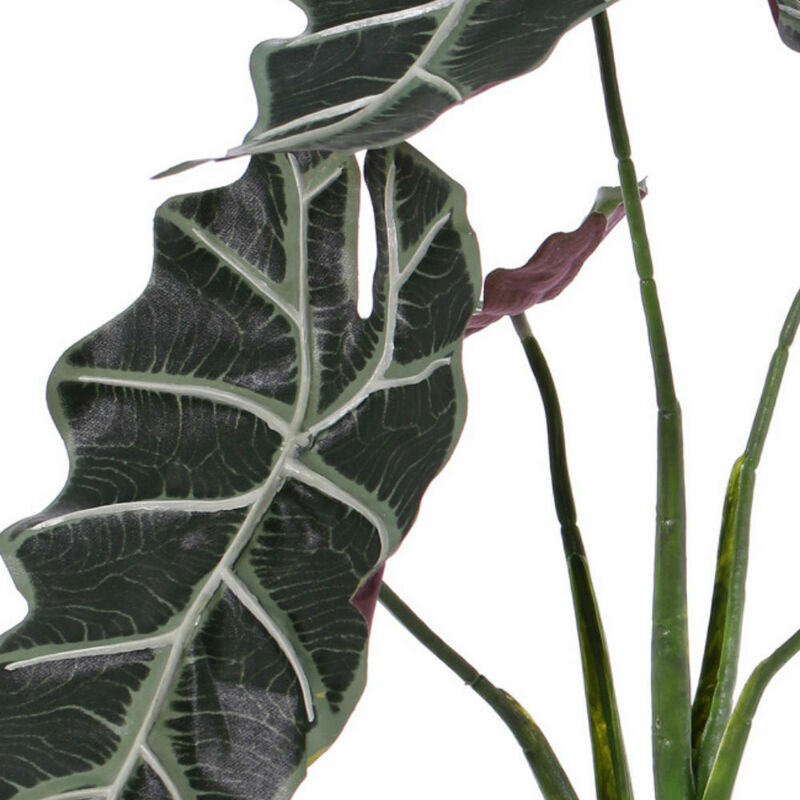 Here we present our Artificial Alocasia “Polly”, our own exotic “Elephant Ear” plant. 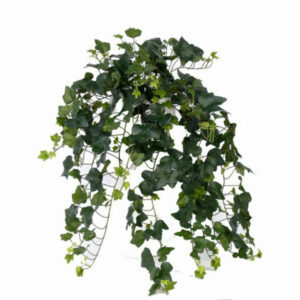 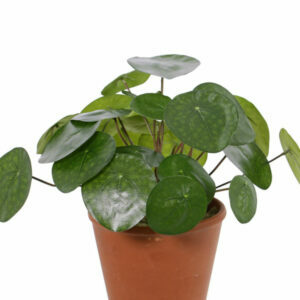 We feel this great Artificial plant would make a perfect indoor house plant for any room. Our plant stands 75cm tall and comes with 5 branches and 5 leaves. 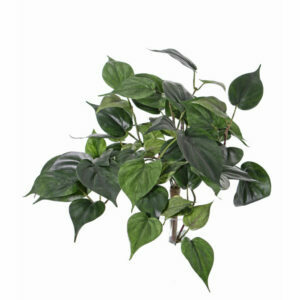 A wonderful low maintenance house plant for your home.